The FAB Defense Tactical Bipod & Foregrip /w Flashlight Holder T-POD G2 FA presents a 3 in 1 solution: Foregrip, 1” Flashlight Holder and a fully functional bipod all in one. 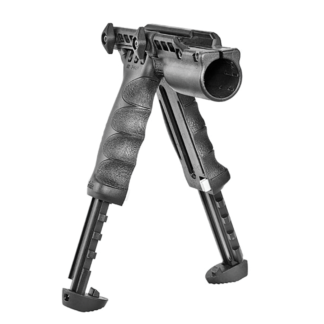 The FAB Defense Tactical Bipod & Foregrip /w Flashlight Holder T-POD G2 FA fits a wide variety of weapons that have a Rail System such as the AR15, M4, AK-47, VZ58, Tavor, Shotgun and many more. 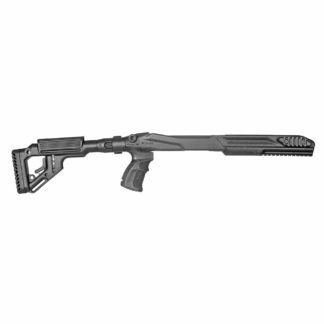 In conclusion if your rifle features a hand guard with a Picatinny or weaver rail our bi-pods will fit perfectly upgrading your weapon to the next level. 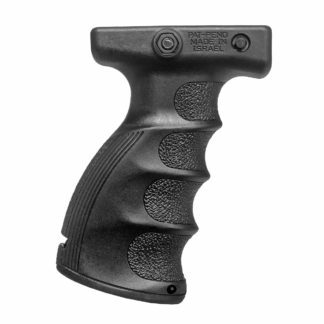 We recommended visiting our Foregrip section in order to see more of the FAB Defense product line. All firearms with an underside 1913 MIL-STD picatinny rail. Requires a minimum of 6 slots / 6.5 cm rail.